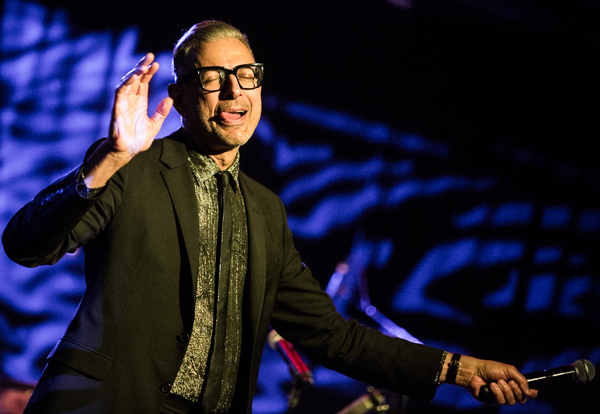 Jeff Goldblum is a man who needs no introduction. 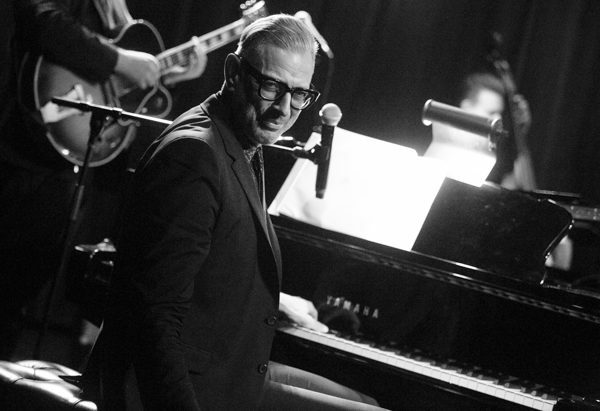 You’ve seen his movies. 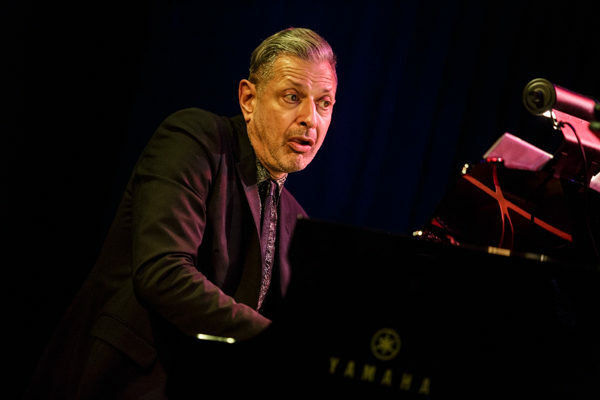 But did you know that when the universally beloved actor is not in front of the camera, he spends a good chunk of his free time playing shows as a jazz pianist? 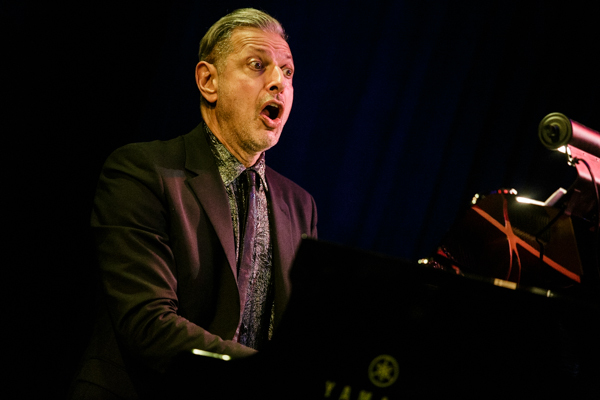 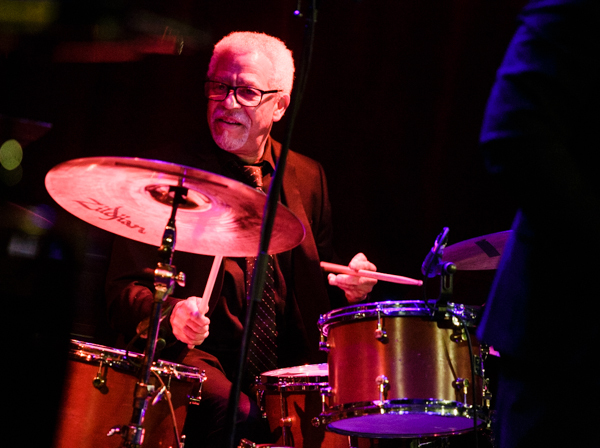 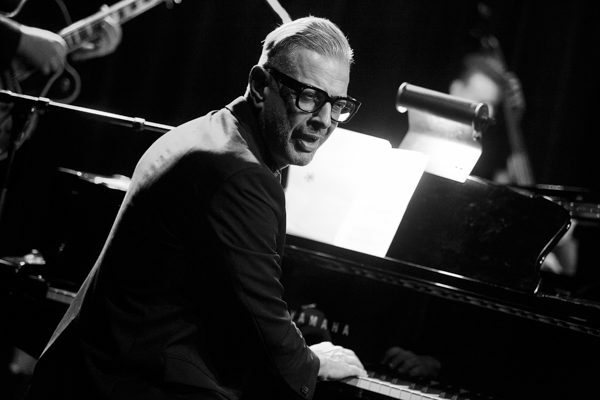 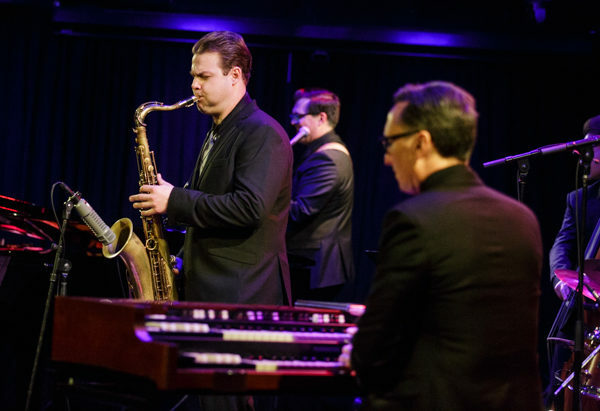 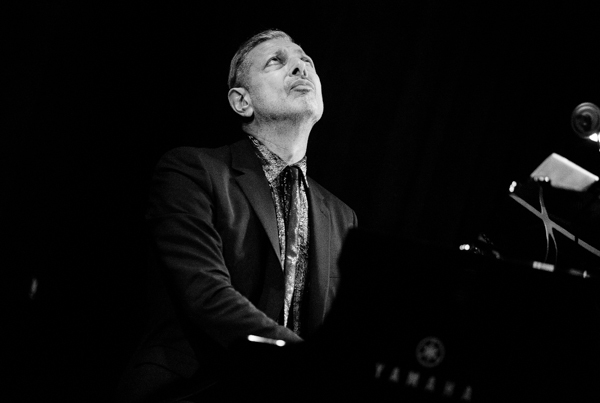 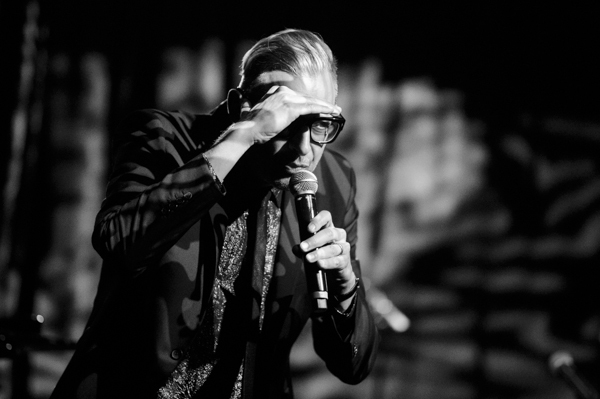 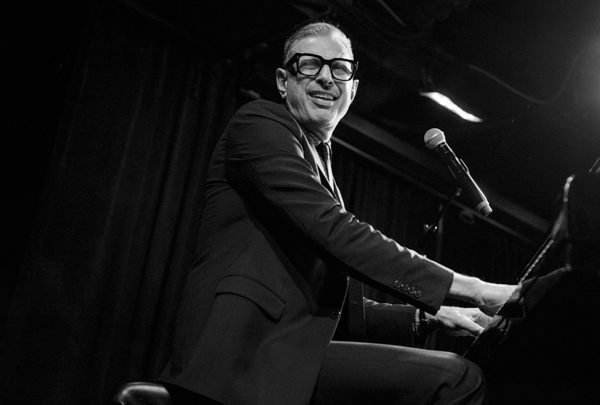 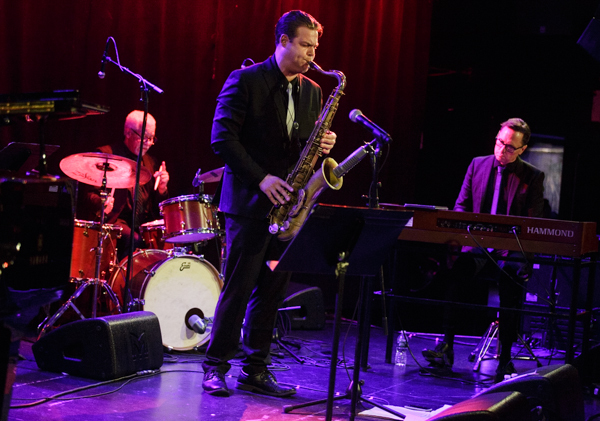 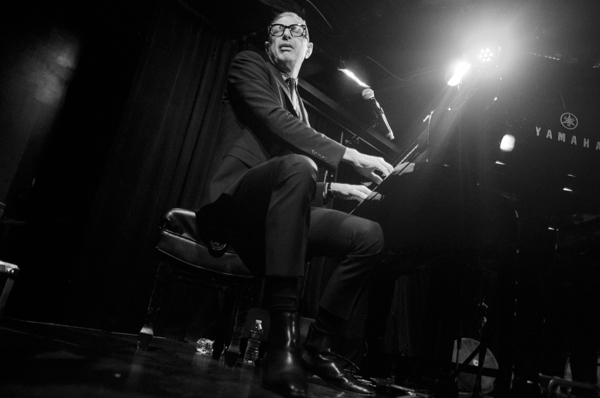 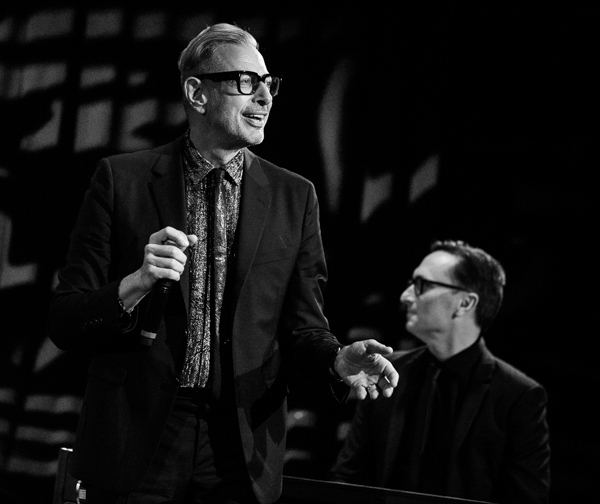 This may come to a surprise to some fans but he and his band The Mildred Snitzer Orchestra have been performing shows in LA and NYC since the 90s and last year Goldblum and the band released their debut album, The Capitol Studios Sessions via Decca Records. 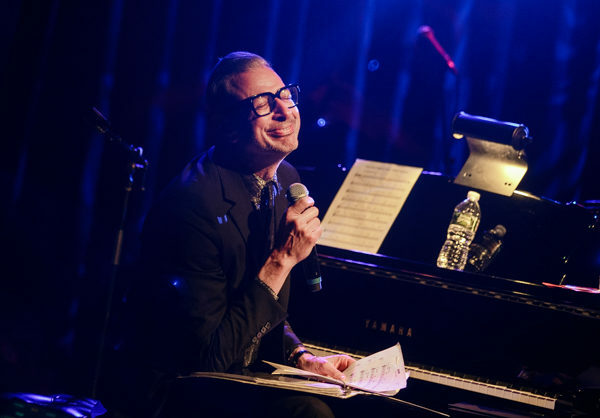 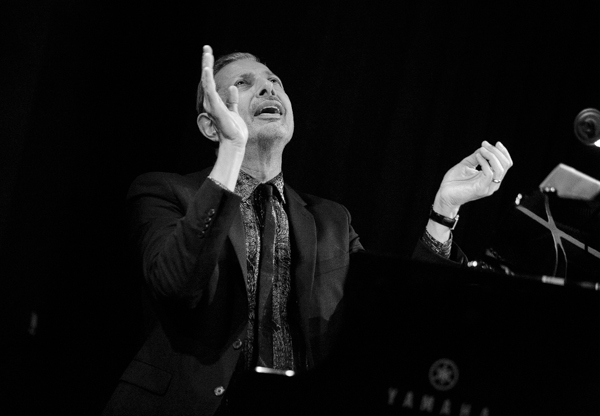 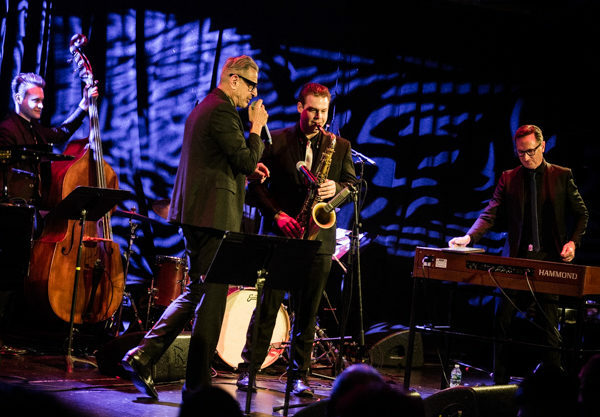 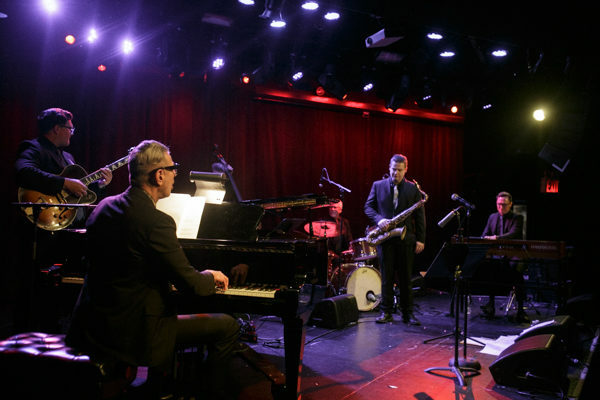 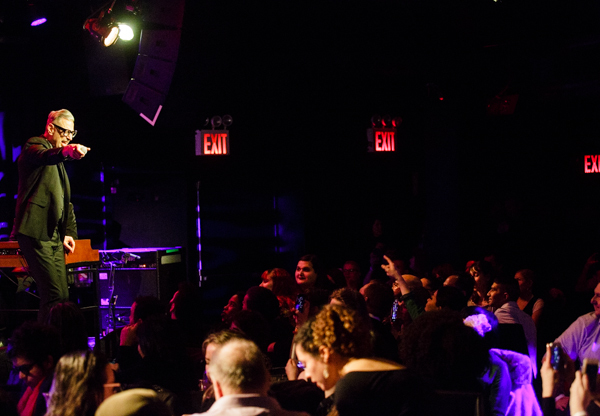 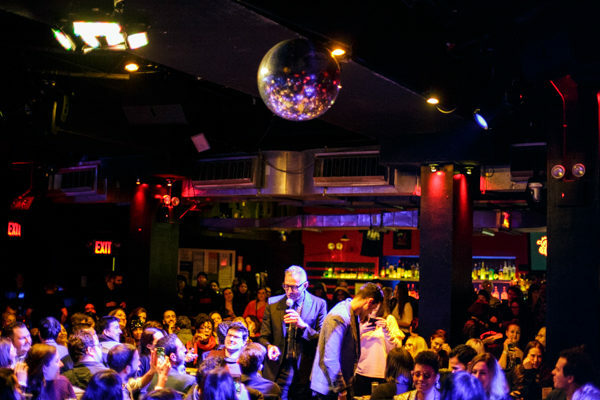 Last night Goldblum & The Mildred Snitzer Orchestra brought their show to New York for two sold out shows at Le Poisson Rouge: early and late. 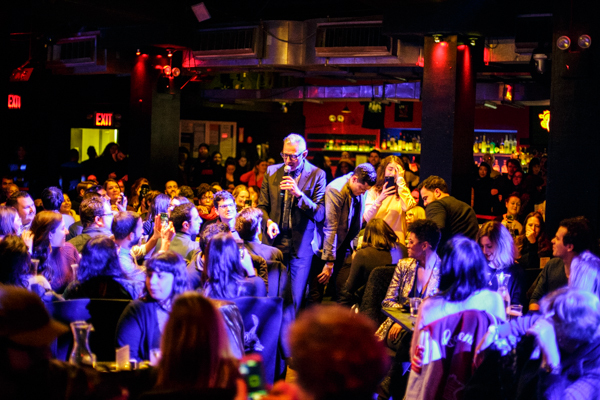 We caught the late show, which we are pretty sure will go down as one of the most unforgettable concert experiences of the year (we know its early). 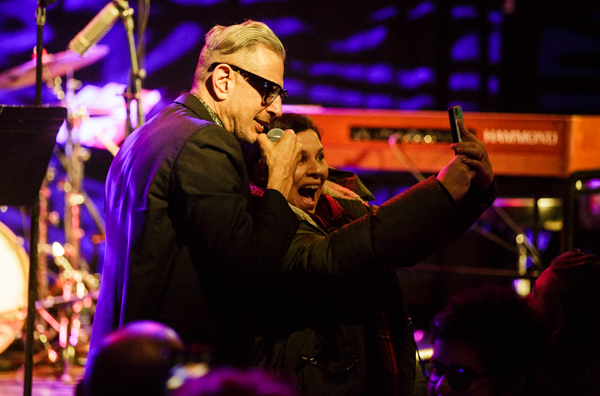 Before the band even took the stage, Goldblum emerged to say hello to his fans, coming into the crowd navigating in the seated section to greet fans, take photos and sign anything for everyone who asked. 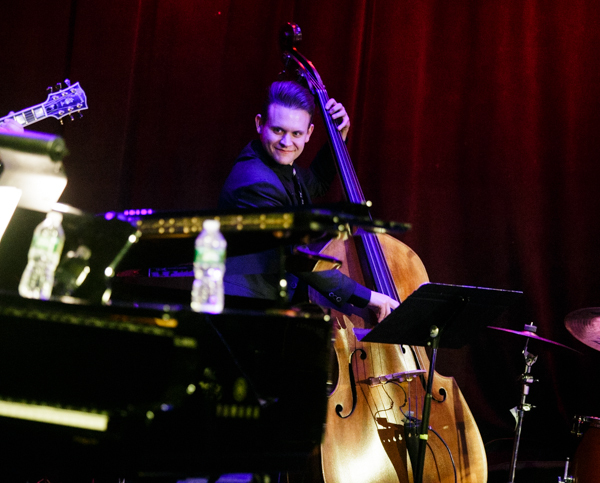 This immediately put a relaxed and friendly atmosphere in the air that set the tone for the rest of the evening. 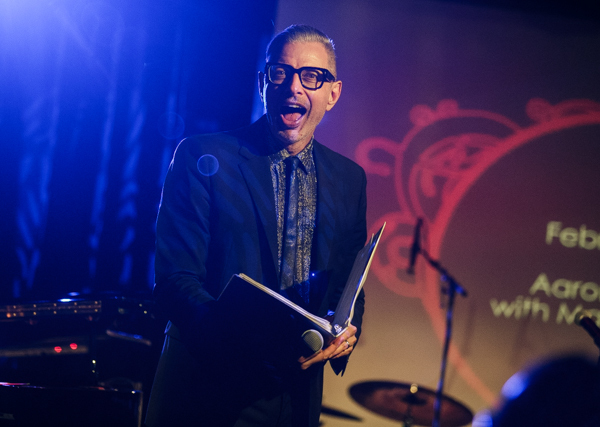 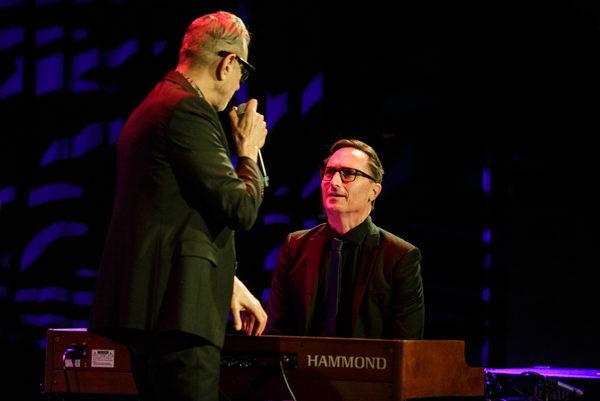 He and the band would perform a song and then follow that up with Goldblum leading the room for a game or trivia, which allowed for fans to become a part of the show and interact with him. 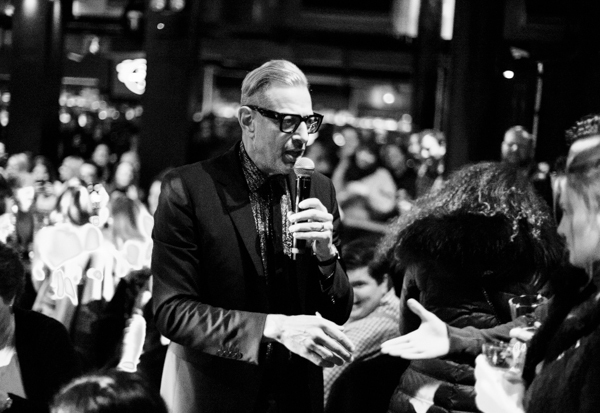 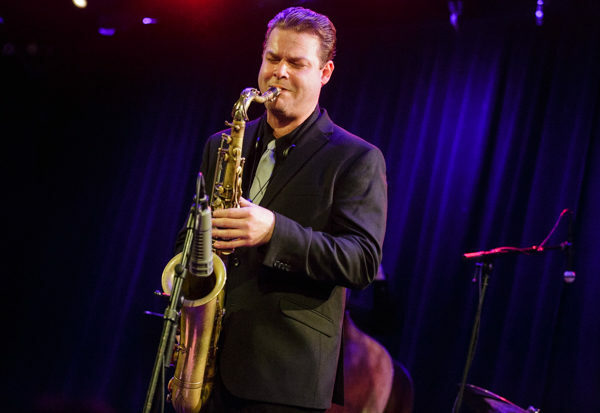 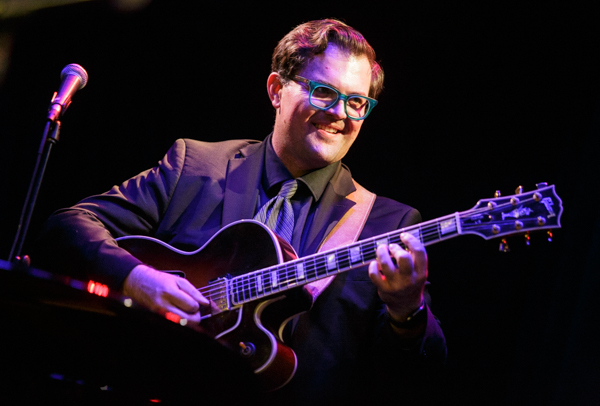 It was great to see him be so kind and caring to his fans and to embrace the notion that many people came to the show, who may not be the typical clientele at a jazz show. 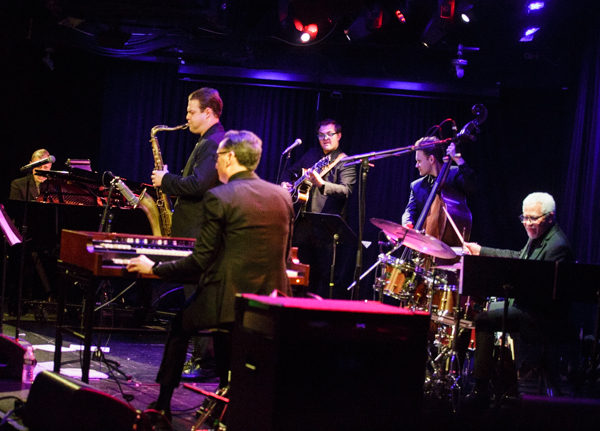 Being the second of the two performances, this was a very loose show that didn’t feel restrictive in anyway. 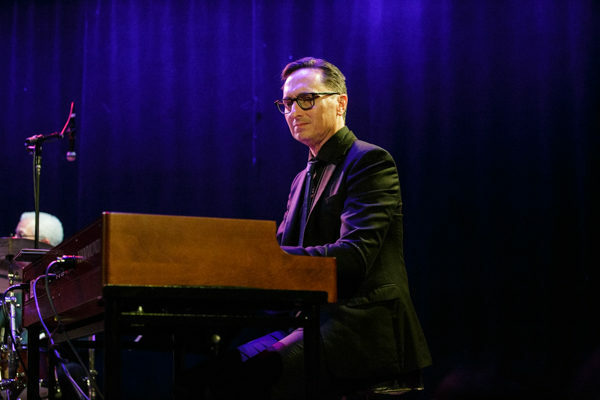 Rather, it felt like a cool hangout with one of the coolest and nicest guys in the business, who also happens to be a talented pianist who knows how to put on both a great concert and an entertaining live show at the same time. 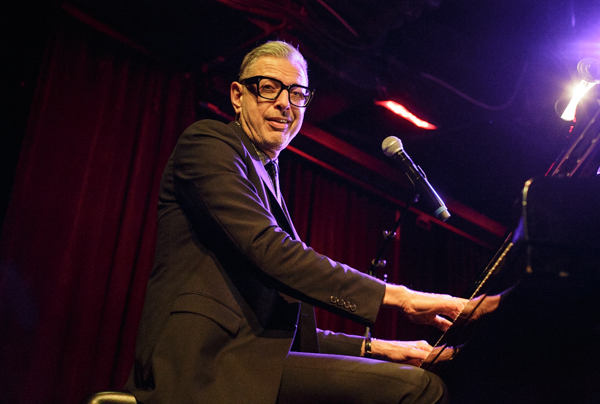 Find a full photo gallery of photos from the late show, posted below.